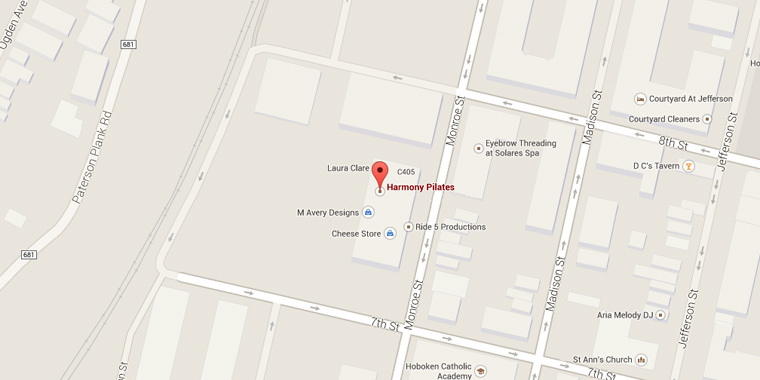 Harmony Pilates is located on the third floor of Hoboken’s Monroe Center, between 7th and 8th Streets on Monroe Street. The Monroe Center is located immediately adjacent to the 9th Street/Congress Street NJ Transit Light Rail Station. Free on-site parking is available for visitors to the Monroe Center. I rarely give reviews but I had to let everyone know what this place means to me. I came four years ago after having my second kid. I was 40 lbs overweight and having back issues. The daily gym and dieting did not work so I tried Pilates. Needless to say, this place changed my life. Mary and her team helped me lose the weight, develop a strong core in which my back issues are no longer an issue and redefine my body shape. I still workout here for maintenance. I'm forever grateful to Harmony Pilates and highly encourage folks to try this place out!